Bitter Melon Fu Gwa 苦瓜....the most bitter food I've ever had but fun to draw. beautiful rendition! have you eaten this? Its a delicacy in Indian cuisine :) I have painted the well ripened open fruit with its bright red seeds- the ripe opened fruit is a beauty to see! 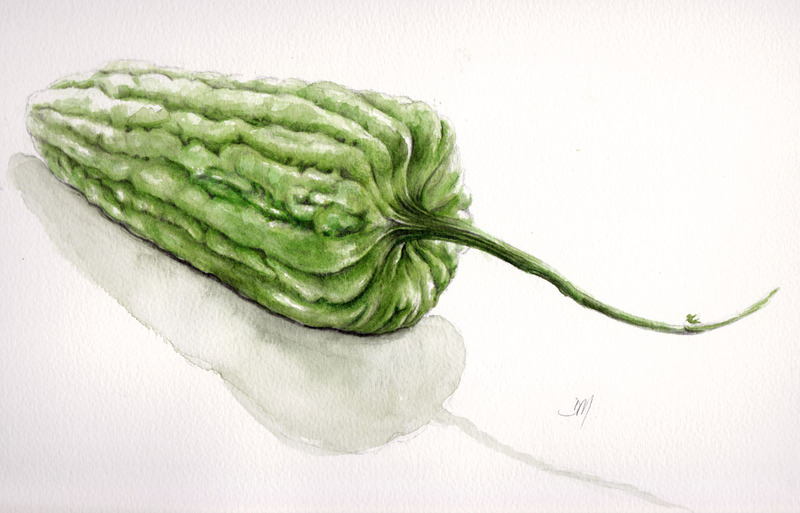 I don't know that bitter melon...never saw it here , but you painted it beautifully, how do you use it ?